Israel’s Attorney General Avichai Mendelblit approved the use of a special 1967 order to legalize settlement buildings on private Palestinian land, the Israeli newspaper Haaretz reported on Sunday. During a meeting attended by several Israeli judicial officials, Mendelblit said the “Order Concerning Government Property,” which was issued in July 1967, could be invoked to expropriate Palestinian land. Back in February, the Israeli parliament, known as the Knesset, passed a law on the expropriation of privately-owned Palestinian land in the West Bank, where Israeli settlements or outposts have been constructed. However, Palestinians filed petitions to the Israeli High Court against the law. Mendelblit proposed that the Israeli parliament suspend the land garb law until the court rules on the petitions and the Knesset accepted the bid. 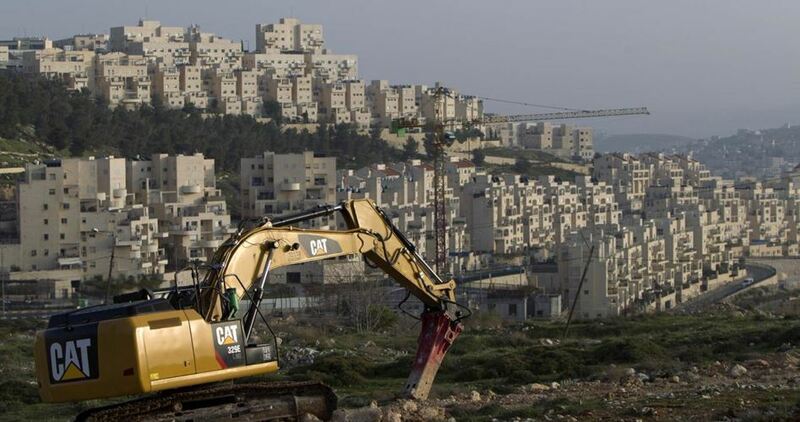 In recent months, Tel Aviv has stepped up its settlement construction activities in the occupied Palestinian territories in a blatant violation of international law and in defiance of United Nations Security Council Resolution 2334. The resolution, which was passed last December, states that Israel’s establishment of settlements in the occupied territories, including East Jerusalem “had no legal validity” and urges Israel to immediately and completely cease all its settlement activities. Israeli weekly “Yerushalayim” newspaper reported on Saturday that Occupied Jerusalem Mayor Nir Barkat announced during a tour with members of the Likud party in the city that the municipality plans to build another floor under al-Buraq Wall courtyard in Al-Aqsa Mosque, adding that he showed them a design of the new plan. 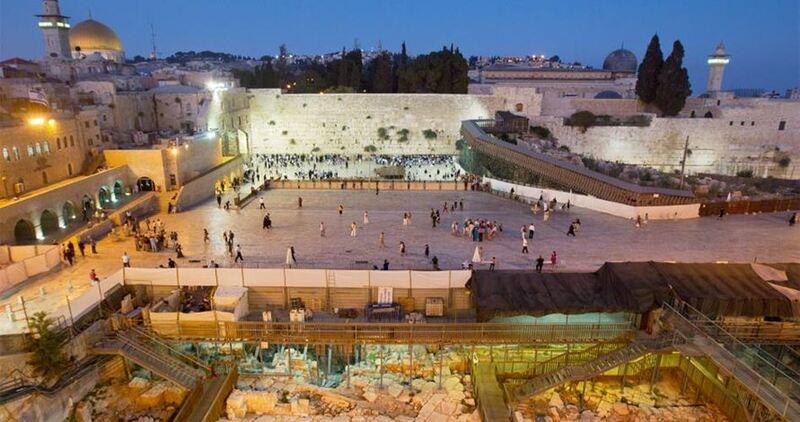 The Israeli government endorsed last month a one-million-shekel budget for construction and improvement projects in the plaza and tunnel of al-Buraq Wall. The projects include discovering and maintaining relics, boosting transportation means, and boosting educational activities for Jewish students and soldiers. The Israeli government announced, Monday, it would be resuming work to complete a bypass road linking Anatot illegal colony, in occupied East Jerusalem, with Road #1 (Jerusalem – Dead Sea Road) with a bugged of hundreds of millions of Shekels. Israel Hayom (Israel Today) News Agency has reported the road is first section of a planned six-miles bypass road aimed at circling East Jerusalem, and connecting settlements in its northern and southern parts. It added that the road was built ten years ago, but was never opened due to what it dubbed as “budget and security disputes,” and added that the road would be opened in ten months. The Palestinian Quds Press News Agency has reported that, when Israel started planning for the road, it illegally confiscated large areas of privately-owned Palestinian lands, and recently approved the needed budget in order to resume the work. The agency added that after an agreement was reached, Israel decided to resume the construction next week, to conclude the project. The project falls under the authority of the Israeli “Civil Administration Office,” which runs the occupation of the Palestinian territories, in addition to the “Border Guard Police,” and extends 3.5 Kilometers, starting from Road #437 near Anatot military base, until Road #1 at the Al-‘Eesawiyya Junction, in East Jerusalem. The new road is part of a much larger project which includes a 10-kilometer highway around the eastern area of occupied Jerusalem, linking between Israeli colonies in the northern and southern part of the city. Israeli Prime Minister Benjamin Netanyahu reportedly promised the United States government that he would freeze the publication of new tenders for illegal Israeli settlement construction in the occupied Palestinian territory for the rest of 2017, Israeli media reported on Friday. According to The Jerusalem Post, the alleged freeze was discovered when settlers from the Beit El settlement in the central occupied West Bank discovered that plans for 300 new settler homes -- promised to the settlers by Netanyahu in exchange for a peaceful evacuation of the illegal Ulpana outpost -- were halted. Beit El residents then erected a “protest tent” outside the Israeli parliament, the Knesset, and demanded that Netanyahu fulfill his promise and advance the plans for the settler homes. On Thursday, Netanyahu reportedly met with the settlement's regional council head Shai Alon and ensured him that the homes promised to the settlers would be excluded from the temporary settlement freeze, adding that the 300 settler homes would be advanced in September. The marketing freeze is not expected to affect the tenders already issued for Israeli settlements this year, which Israeli settlement watchdog Peace Now said comprised of 2,858 tenders for additional settler housing in the West Bank. A spokesperson for the Israeli Prime Minister’s office was not immediately available for comment. 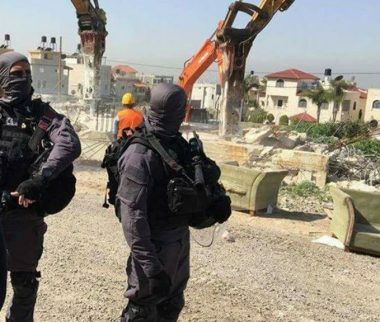 Last week, it was reported that 2,200 settlement units were expected to be halted in the Gilo and Pisgat Zeev settlements -- located in the Jerusalem district of the West Bank -- and Har Homa settlement in the southern West Bank district of Bethlehem. Meanwhile, thousands of new settler units were advanced in recent weeks, including units in the Amihai settlement, the first new Israeli settlement established in more than two decades. 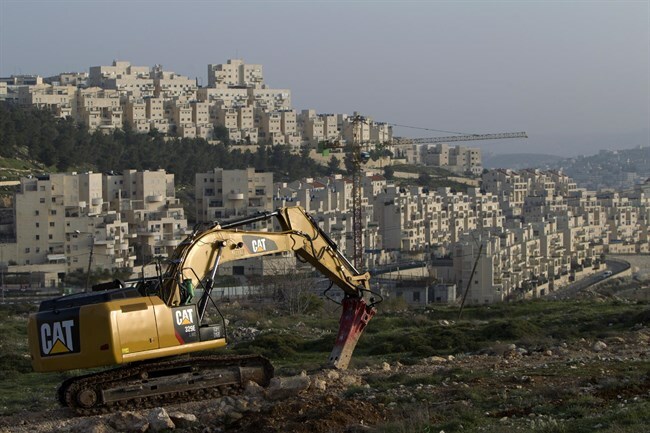 According to ICBS’ date, during said time period, the construction of 2,758 housing units began in illegal settlements, compared to 1,619 construction starts between April 2015 and end of March 2016. Peace Now noted that the data shows that in the first three months of 2017, there were 344 construction starts on illegal settlement housing units, adding that the number was expected to grow in coming months. "Instead of working to solve the Israeli housing crisis,” -- referring to soaring real estate prices in Tel Aviv -- “the government prioritizes a radical minority living beyond the boundaries of the state,” Peace Now said in response to the ICBS report. “The highest price to be paid for the sharp increase in construction starts beyond the Green Line is a political price, as such construction continues to distance us from the only way to end the Israeli Palestinian conflict -- a two-state solution." This is not the first time Netanyahu has temporarily frozen Israeli settlement expansions in the West Bank, also doing so in 2009 and 2010. However, the steady increase of the settler population in the West Bank over the years indicates that settlement expansions have not been deterred by Netanyahu’s temporary freezes. The reported freeze also came amid US President Donald Trump’s attempts at renewing the Israeli-Palestinian peace process, with US President Donald Trump’s son-in-law and senior advisor Jared Kushner telling Netanyahu earlier this week that Israel’s settlements were “not helpful” to the process. However, Netanyahu’s comments in recent weeks, including reassuring his settler voting base that he was “doing everything to protect the settlement enterprise," and that settlements would continue to expand in “all parts of Judea and Samaria (West Bank),” and the repeated demands of right-wing Israeli leaders to block any possibility of an independent Palestinian state, some of whom have called for the full annexation of the West Bank, have left many Palestinians with little hope that a renewed peace process would bring any changes. Meanwhile, athough Israeli settler outposts -- unapproved by the Israeli government -- are even considered illegal under Israeli law, earlier this year, Israel passed the outpost Regularization law, which would pave the way for the retroactive legalization of dozens of Israeli settler outposts. Despite Israel’s stated interest in Trump’s so-called peace process, according to Palestinians and rights groups, Israel’s policies in the Palestinian territory reflect an overall goal to depopulate the land of its Palestinian residents and replace them with Jewish Israeli communities in order to manipulate population demographics in all of historic Palestine. Such policies have been aimed at advancing the colonization of Palestinian land in a continuation of policies implemented since 1948, when Israel was established as a country in historic Palestine, according to rights groups. Kol Ha'ir Hebrew newspaper unveiled on Saturday a number of new settlement projects and schemes in occupied Jerusalem as part of Israel’s fierce settlement campaign in the city. 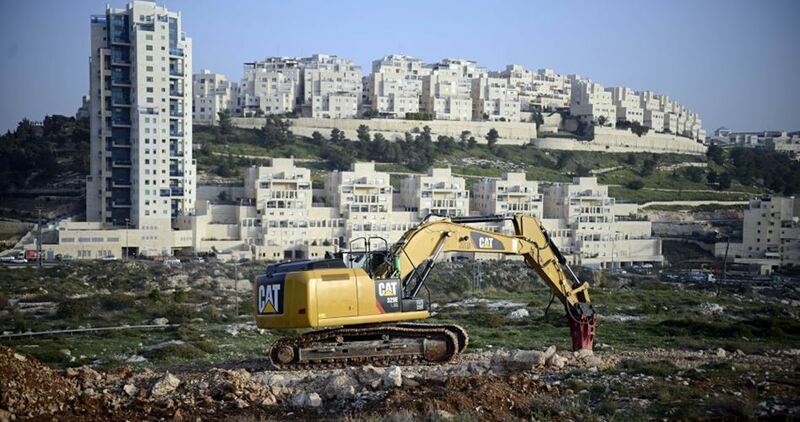 The paper said that Euro-Israel Company started implementing a new project in Pisgat Ze'ev settlement which includes 122 settlement units distributed in four 11-story buildings. The settlement project is expected to be concluded by the end of 2020, according to the sources. The paper pointed out that the company started over the past few weeks marketing ten of the planned housing units. The company also started new projects within the Green Line consisting of 230 housing units in Ashkelon, 190 units in Petah Tikva and 47 units in Ras Al Ain. Israeli Prime Minister Benjamin Netanyahu's Office gave a green light to the planning and building committee in Occupied Jerusalem to discuss the approval of 7,000 settlement units in neighborhoods of the city. According to Yisrael Hayom website, the housing units would be distributed as follows: about 3,500 housing units in Gilo, another about 2,200 in Har Homa, 900 in Pisgat Zeev, 500 in Ramat Shlomo and another 100 in Ramot settlement. Netanyahu’s approval to establish more than 7,000 housing units in Occupied Jerusalem came only two days after the Israeli army had announced news on finding a document saying that Netanyahu ordered to freeze the construction of 6,000 settlement units in Jerusalem. Netanyahu’s decision outraged Israeli right-wing parties and other personalities in the government. The Israeli Prime Minister’s office has given the green light, to the Planning and Building Committee in Jerusalem, to discuss the approval of some 7,000 housing units in illegal settlement blocs, Israeli media reported. 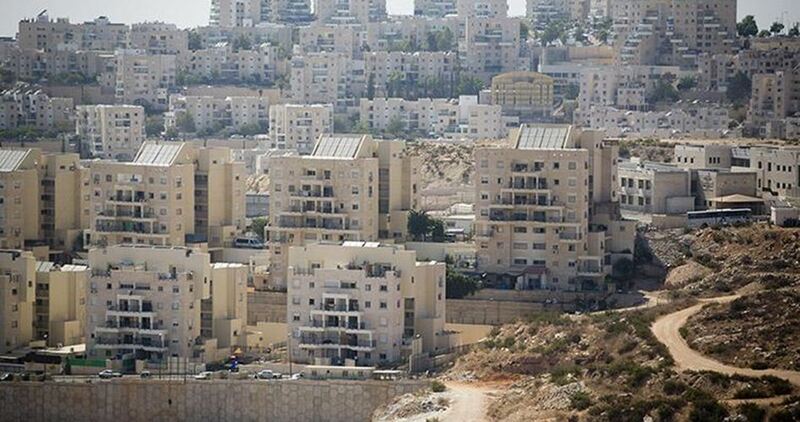 Israel Hayom said, according to the PNN, Israel’s Deputy Mayor of Jerusalem, Meir Turjeman, who heads the committee, that the units include 3,400 housing units in the Gilo settlement, 2,190 in the Har Homa settlement, 920 in the Pisgat Zeev settlement, 500 in the Ramat Shlomo settlement and 94 in the settlement of Ramot, all of which are illegal under international law. 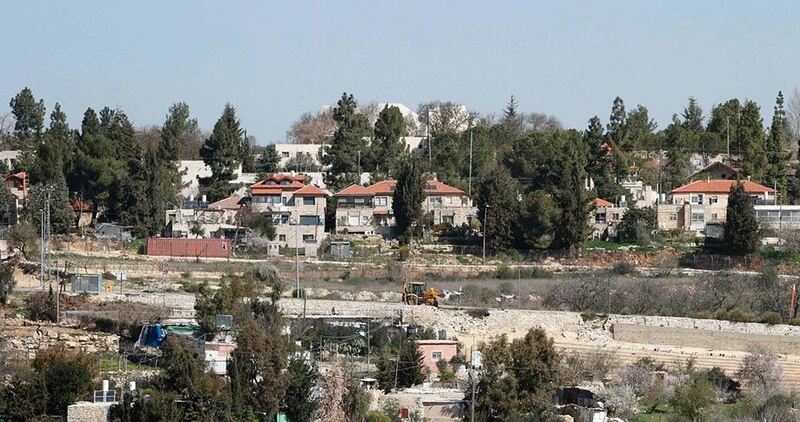 “We expect support for the unified Jerusalem law and the cessation of the serious construction plan in the Kfar Saba settlement,” it added, in reference to the Palestinian town of Qalqilya, in the occupied northern West Bank. 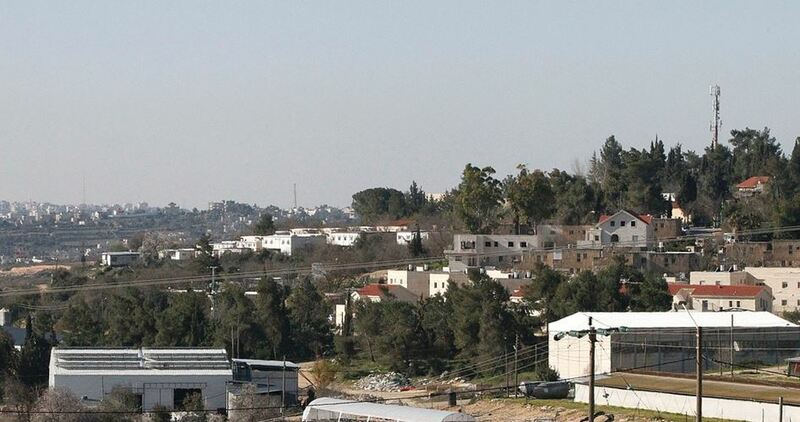 Israeli media reported, last week, that the government approved a plan to expand the town of Qalqilya, using land from Area C, which is under Israeli security and civilian administration, and allowing the construction of 15,000 housing units for Palestinians under a package of facilitations announced during US President Donald Trump’s visit to the region. However, the Israeli government quickly withdrew the plan after criticism from right-wing parties, saying it includes the construction of about 5,000 housing units for only Palestinians in the city, which suffers from a suffocating housing crisis. Israeli Prime Minister Benjamin Netanyahu reportedly told top cabinet ministers on Sunday that he was considering legislation to limit appeals against settlement construction on private Palestinian lands. The legislation could mean curtailing the ability of many left-wing advocacy groups to appeal on behalf of Palestinians in the West Bank, Israeli media sources reported. Netanyahu reportedly declared his intention at the weekly meeting of the party leaders in his six-party coalition. The ministers were said to discuss a bill by Likud MK Miki Zohar that seeks to limit standing before the High Court only to those directly affected by any particular state action. Zohar’s bill to place limits on the very broad range of individuals and groups that are permitted to file High Court appeals on any particular matter was first brought to the Ministerial Committee for Legislation in May, but ministers delayed voting on it due to opposition from some coalition members and Knesset and Justice Ministry legal officials. Zohar’s bill is co-signed by coalition chairman MK David Bitan (Likud) and Jewish Home lawmakers Moti Yogev and Betzalel Smotrich (Jewish Home). Education Minister Naftali Bennett and Justice Minister Ayelet Shaked, also of the pro-settlements Jewish Home, have said they would support the bill, according to Walla. Israel has recently approved the construction of 8,345 new housing units in total violation of international laws and resolutions. Israeli war minister Avigdor Lieberman said Sunday that plans to build 3,651 settler homes in the West Bank were approved last week, adding that the number of settlement units slated for construction is at its highest since 1992. Haaretz newspaper quoted Lieberman as saying at the weekly cabinet meeting that 671 of the 3,651 units approved on June 6 and 7 are intended for immediate construction. "What we have approved on June 6 and 7 is the maximum that can be approved," Lieberman said, snapping at settler leaders who have claimed there is a "de facto freeze" of settlement construction. Further building would "stretch the rope beyond its limit, and thus put the entire settlement enterprise at risk," Lieberman warned. The war minister also stated that since January 1, this year Israel has approved the construction of 8,345 settler homes, including 3,066 that are slated for immediate construction. "The numbers for the first half of 2017 are the highest since 1992," he claimed. "I am aware more than anyone else of the construction needs in the settlements, and I am also well aware of the restrictions and the pressure that come from the international political community," he said. "There is not and there has not been a better government to take care of the Jewish settlement in Judea and Samara (West Bank) and to develop it," he added. 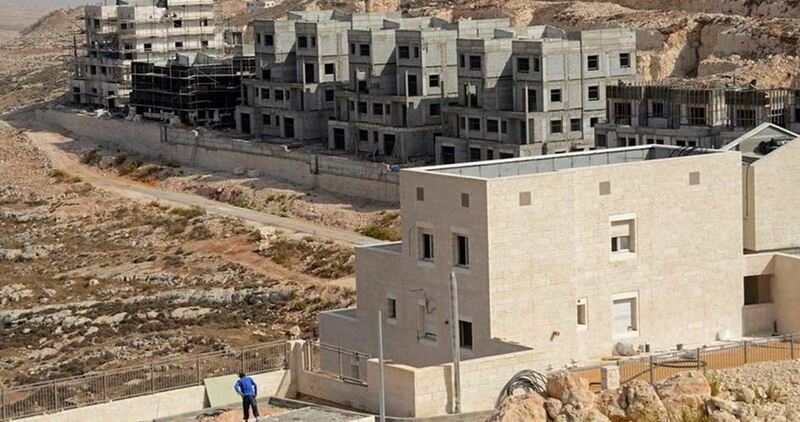 Last February, the European Union (EU) strongly denounced Israel's recent stream of announcements about building thousands of new settler homes in the occupied West Bank. The EU "deeply regrets that Israel is proceeding with this, despite the continuous serious international concern and objections, which have been constantly raised at all levels," she said. The Israeli Occupation Authorities (IOA) approved Wednesday the construction of 1500 new housing units in occupied West Bank, Peace Now revealed. The decision was taken during successive meetings held by the Israeli Higher Planning Council of the so-called Israeli Civil Administration (ILA) two days ago, according to the anti-settlement organization. No more details were revealed. On Tuesday, Peace Now reported that Israeli authorities approved the construction of a new settlement in the West Bank, named Amichai. The new settlement would include 102 housing units and accommodate dozens of settlers who were evacuated in February from Amona illegal settlement. More than 700,000 settlers are currently living in 255 settlement and 163 outposts illegally built at the expense of Palestinian lands in occupied West Bank. 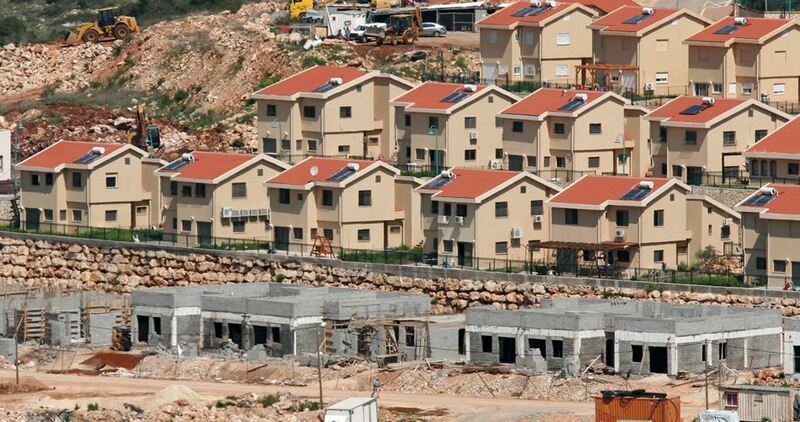 The Israeli settlement council has prepared a plan to construct around 67,000 housing units in the western part of the occupied West Bank in order to solve the "housing crisis" in Gush Dan settlement bloc. Hundreds of thousands of Israeli settlers live in about 140 illegal settlements built on land which the Palestinians want for a future state. Despite the illegality and the international community’s disapproval of settlement construction and expansion, Israel announced recently more plans to build tens of thousands of new housing units for settlers in West Bank settlements.